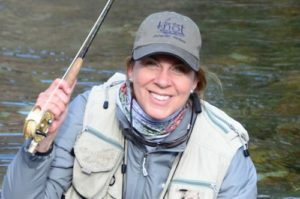 Description: Molly, along with several experienced women fly fishers, will provide instruction geared to advancing participants’ skills while having fun and enjoying Utah’s beautiful Provo River. Topics include understanding the importance of entomology, fine-tuning fishing techniques such as nymphing, streamers and dry fly fishing. Women must have some experience fly fishing and need to bring their own gear. More to follow once enrolled in the class.